We feel it is important to share that our purpose and mission is much more than selling a fashion line. 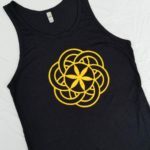 WisdOM Wear ” is a medium for education on the power of ‘Sacred Geometry’, “Crystals”, ‘ Knowledge’, Co-creating thru a unified goal, and “Raising money for GREAT CAUSES; The health of our Oceans! 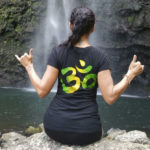 We donate 10% of sales to The Surfrider Foundation https://kauai.surfrider.org​ , an organization committed to cleaning our Oceans and education on how to preserve our greatest natural resource. WATER!